Fans of Killzone game series rejoice! Yesterday the game’s publisher, Sony Computer Entertainment company, told several good news about Killzone: Shadow Fall - the new part of this fantastic game series. So, Sony announced Killzone: Shadow Fall pre-order, its bonuses and showed a short Killzone: Shadow Fall story teaser. But before we’ll tell you about all these news, we offer you a brief game’s review for those who did not hear anything about it. So, Killzone: Shadow Fall is the sixth instalment in Killzone game series, developed in the genre of first-person shooter. The events in this part are taking place thirty years later after Killzone 3, and they are based on the war between two branches of one race - the Helghasts and the Vektans. Planet of the first ones is destroyed, and in order to survive, they have to move to Vekta planet, where they aren’t a sight for sore eyes. The Helghasts and the Vektans live in relative peace for some time, but one day it changes and the war begins. So, if you're interested in Killzone: Shadow Fall game, then you should read the following information. 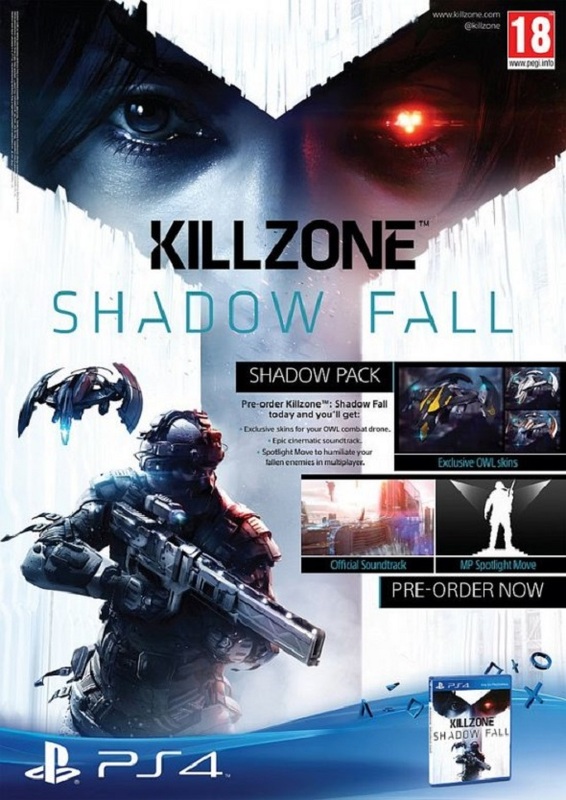 So those who will make Killzone: Shadow Fall pre-order will receive a bonus - the exclusive Shadow Pack, which will include 3 skins for OWL, special victory character’s move in multiplayer mode and the official soundtrack. More information about each bonus you can read in the post on the PlayStation Blog. In addition, Guerrilla Games company has published a short Killzone: Shadow Fall story teaser and reported the names of the actors who will play the main roles. So, Sinclair, head of Vektan’s security, will be played by David Harewood, while Jamie Gray Hyder will act as his opponent - Echo, who fight on the side of the Helghasts. Killzone: Shadow Fall game is developed for PS4 and it will be released at the end of the year.